FB20 is a third-generation 2.0L flat-four engine, first released in 2010. It was constructed as a substitute to EJ motors. Though FB20 seems to be alike to EJ, it features a great number of differences. It features a restyled aluminum cylinder block with diminished piston bore. Growth of piston stroke helped to preserve the same offset, but increased torque at low revs. In order to make the motor exterior look like EJ, Subaru used asymmetrical connecting rods. FB20 keeps cylinder heads with DOHC 4-valve per cylinder. While EJ motors had 41° angle between intake and exhaust valves, the angle was decreased to 27° in FB. The space between camshafts was also reduced from 126 mm to 104 mm thanks to usage of chain-driven camshafts instead of timing belt. The small valve angle and bore reduce the level of emissions by providing a fewer amount of unburned fuel during cold start. 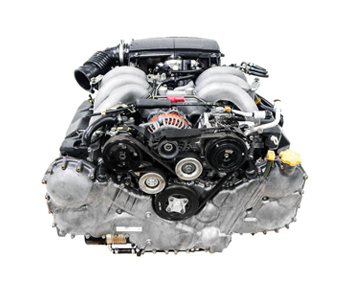 Intake and exhaust camshafts feature AVCS, a variable valve timing system. Intake manifold is plastic and has 4 tumble-generation valves, which move the intake flow through electronic control to increase the motor power. Use of lightweight pistons and connecting rods helped the brand to reduce friction loses for 28%. CO2 emissions were decreased by 4% while the engine consumes 10% less fuel. Thus, in comparison with EJ20, FB20 is more eco-friendly while having the same output and a broader torque strip. Used in the fifth generation Impreza sedan and hatchback. First versions of FB motors (2010-2013) consumed too much oil. It’s considered that the reason is either in piston rings or damaged cylinder block. When cylinder block is deformed, you need to acquire a fresh one. It’s necessary to acquire new piston rings or, at least, clean them up. Moreover, to increase lifespan of catalytic converter and contribute to motor durability, it’s advisable to use high quality fuel and monitor the level of engine oil. 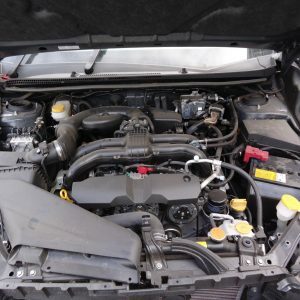 It’s better to use engine oil, which Toyota, Subaru and Scion advise, to prevent the malfunction of AVCS system, connecting rod bearing and increased level of oil use. Another tip is to change oil after every 5,000-7,500 kilometers. It’s still frequently than auto manufacturers say, but it will contribute to motor durability.